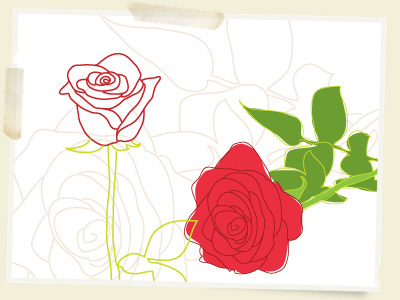 Valentines Day really snuck up on me this year, but donâ€™t worry these free vector rose graphics were created with love! I thought I would provide everyone with some not so traditional valentines graphicsâ€¦ maybe make your girl or guy a custom card; itâ€™s the thought that counts. It has Ben Blogged! Thanks, dude. Great as always! I’m always happy when I see that there’s a new post from you. these are great it would be cool if you shared a tutorial on how you do this! ps – i used your guitar vector in a project – i’ll send you an image of it soon. Legal mesmo. Bacana. Mas serve para Fireworks? Thak you. Ideal for our site. Thanks an congratulation for your work.